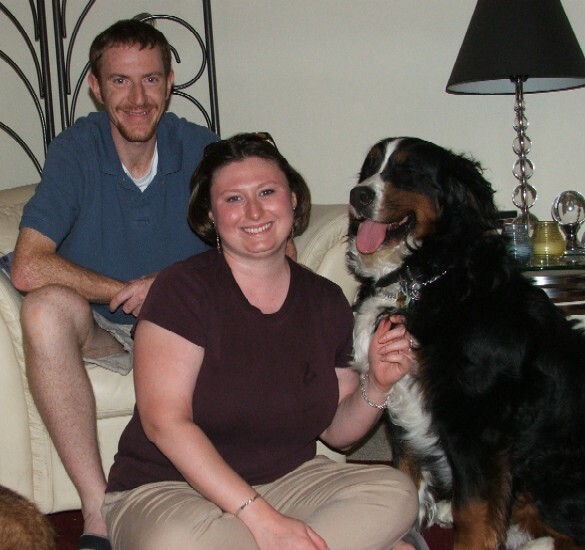 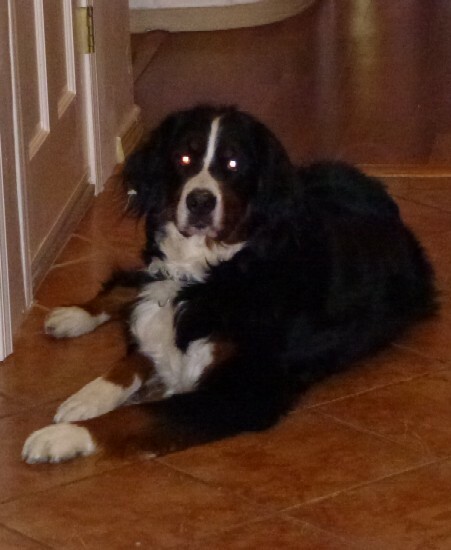 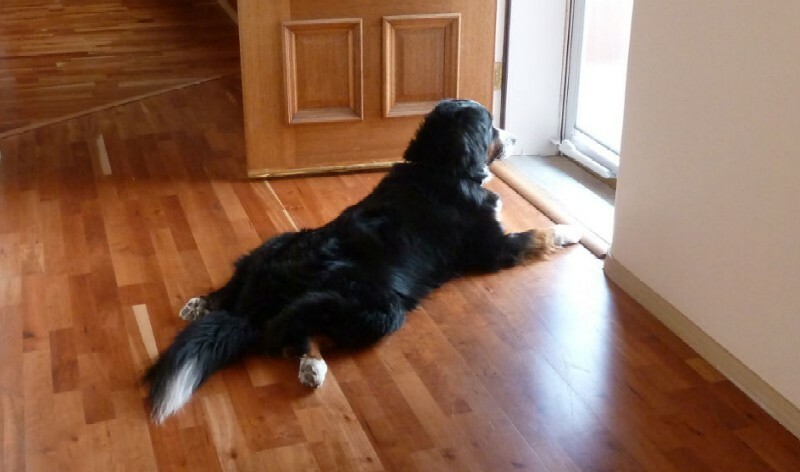 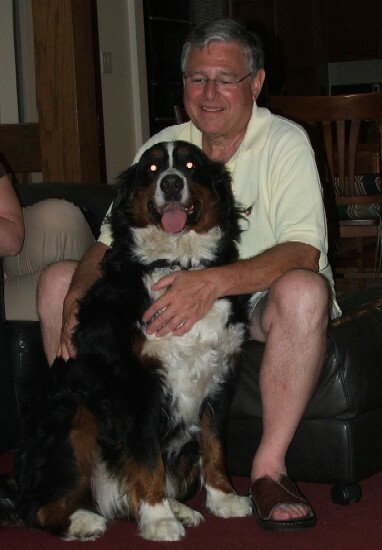 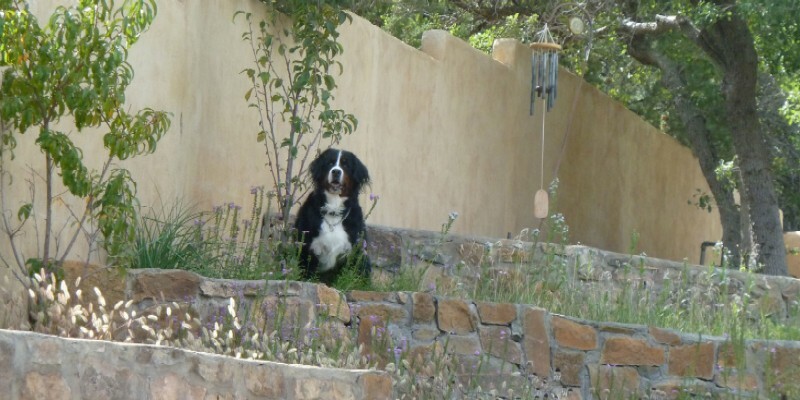 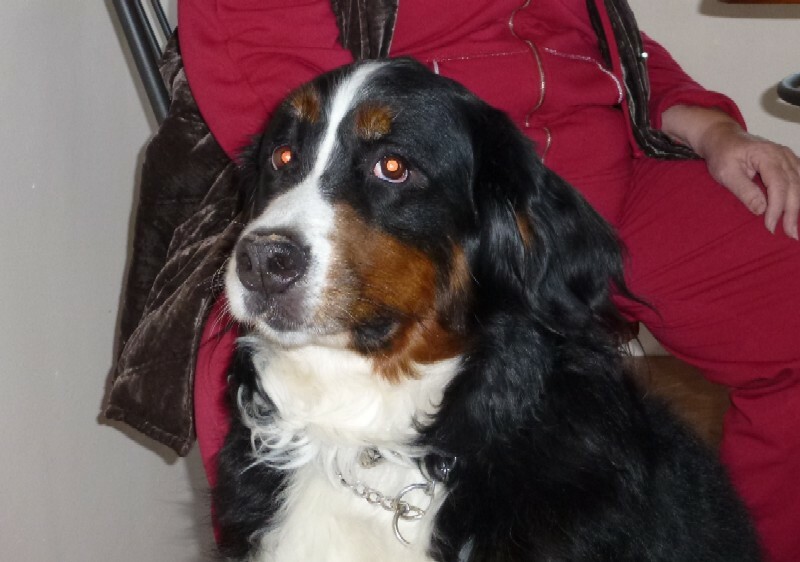 Dora is a Bernese mountain dog who lives with our cousin Bob Belosky in Des Moines, Iowa. 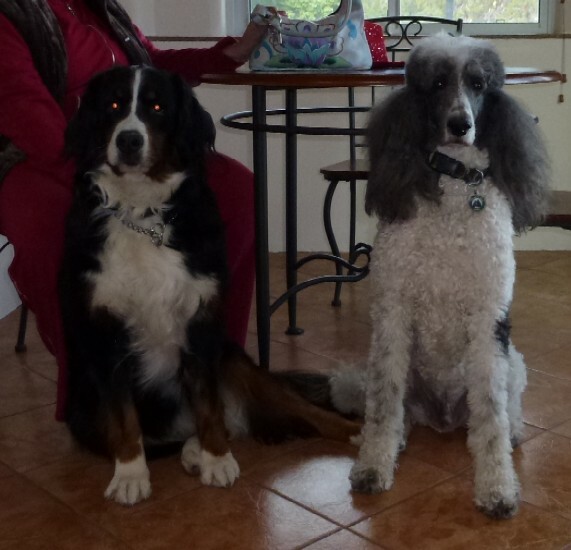 Dora and Garrett are "cousins," related by way of the extended family tree of their two-legged companions. 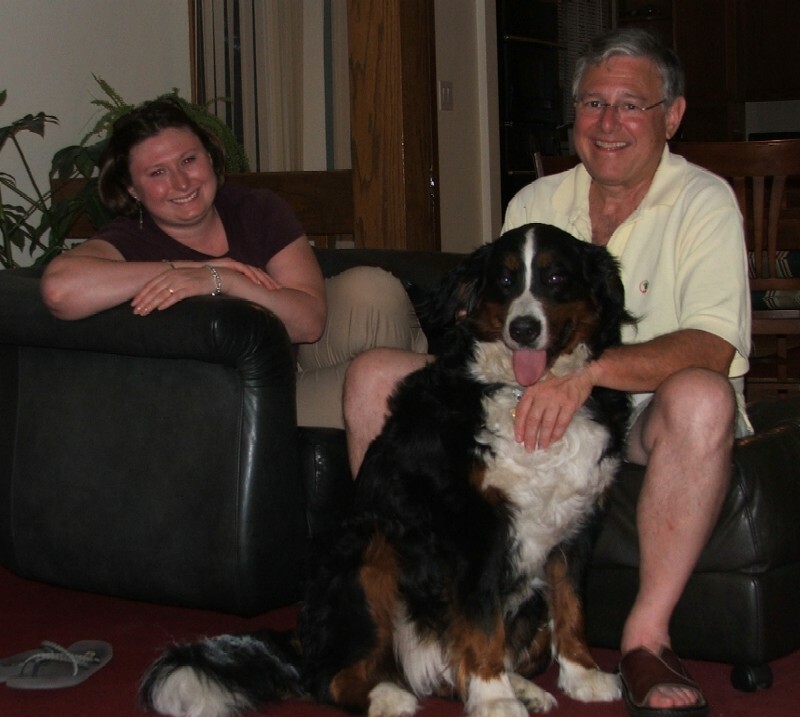 The first four pictures of Dora were taken in July 2008 when we visited them in Des Moines, Iowa. 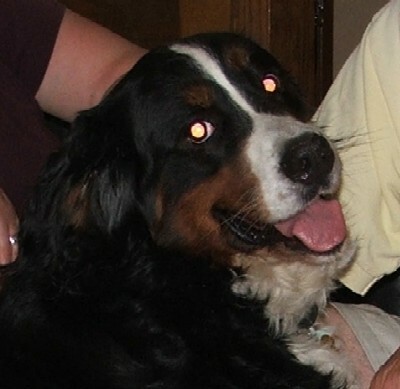 Dora was about nine months old. 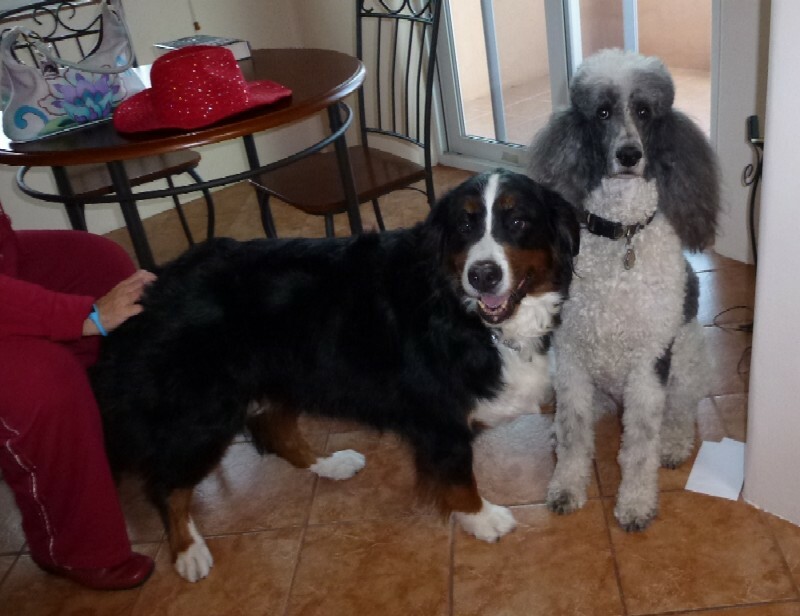 The second set of pictures was taken at a cousins' mini reunion in Albuquerque in October 2011. 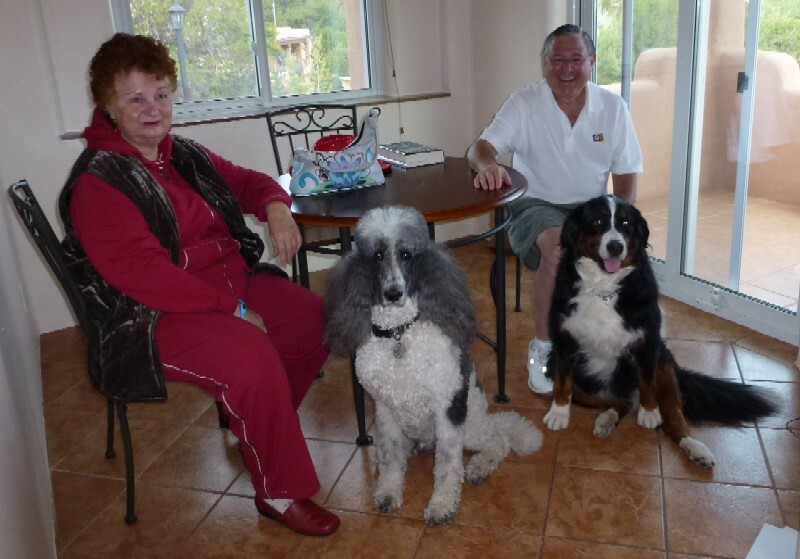 The pictures of Dora with Garrett below were taken at a cousins' mini reunion in Albuquerque in October 2011.